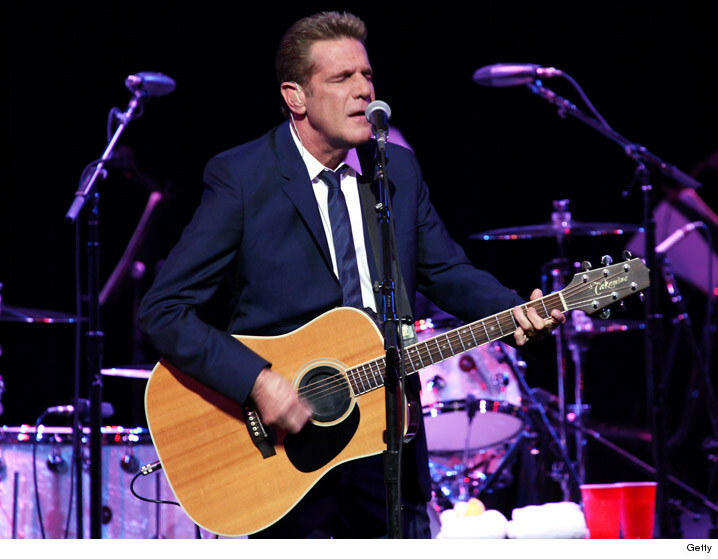 Glenn Frey, co-founder and guitarist for the Eagles, has died ... TMZ has learned. We're told the cause of death was a combination of complications from rheumatoid arthritis, acute ulcerative colitis, and pneumonia. Frey had been battling intestinal issues for months and had surgery in November. We're told in the last few days his condition took a turn for the worse. He died in New York City. Glenn co-wrote and sang on most of the Eagles hits, including "Take It Easy," "Tequila Sunrise,"
"Lyin' Eyes," and "Heartache Tonight," to name a few. He also co-wrote "Hotel California" and "Desperado" with Don Henley and took home 6 Grammys with the band. After the Eagles' 1980 breakup, Glenn launched a successful solo career, recording numerous hits ... most notably "The Heat Is On" and "You Belong to the City." Glenn also got into acting, snagging a recurring role on "Miami Vice." He reunited with the Eagles in '94 for their monster Hell Freezes Over tour and recorded music till the end, releasing what would be his fifth and final solo LP, "After Hours," in 2012. The Rock and Roll Hall of Famer had been fighting intestinal issues for awhile but his condition relapsed before the holidays, forcing the Eagles to pull out of their Kennedy Center Honors appearance in December. At the time, the band said he needed major surgery that would require a lengthy recovery. Don Henley said, "He was like a brother to me; we were family, and like most families, there was some dysfunction. But the bond we forged 45 years ago was never broken." He added ... "We built something that has lasted longer than anyone could have dreamed. But Glenn was the one who started it all. It will be very strange going forward in a world without him in it. But I will be grateful, every day, that he was in my life. Rest in peace, my brother. You did what you set out to do, and then some." Dreaming of overnight riches, millions of Americans anxiously checked their tickets for the winning combination in the multi-state Powerball lottery after a Saturday night drawing for a record $900 million jackpot. It was not immediate known if any ticket holder had the magic combination of six numbers selected in the drawing: 32, 16, 19, 57, 34 and the Powerball number was 13. The grand prize for Powerball, played in 44 states, Washington, and two U.S. territories, has climbed steadily for weeks after repeated drawings produced no big winners. This week, ticket purchases surged along with the size of the pot. The grand prize in Saturday's drawing was worth $558 million if a winner chooses an immediate cash payout instead of annual payments over 29 years, according to lottery officials in California, one of the participating states. The prize, which rises with every drawing that produces a winning series of six numbers held by no ticket buyer, ranks as the largest jackpot for any lottery in North American history. With almost unimaginable riches at stake, many Americans who normally shun lotteries joined the long lines of people buying tickets at retail stores across the country. Dony Elias, 26, an attendant at Stardust Liquor in Los Angeles, said 300 customers picked up tickets for Powerball last night at his store. Elias admitted to buying a ticket for himself, something he said he had never done before. And like many other players, he has already given some thought to what he would do with the cash. "I would take a trip to the moon," he said. California, the nation's most populous state, normally sees Powerball sales of $1 million a day, but on Saturday morning sales were a head-spinning $2.8 million an hour, said California Lottery spokesman Mike Bond. Excitement swirled among ticket buyers despite what some statisticians call mind-boggling odds for the Powerball game - one in 292 million. 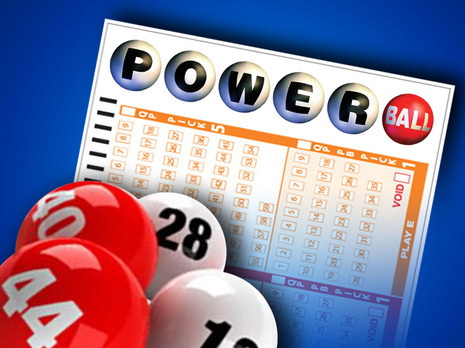 Jeffrey Miecznikowski, associate professor of biostatistics at the University at Buffalo, said in an email an American is roughly 25 times more likely to become the next president of the United States than to win at Powerball. Or to put it another way, the odds are equivalent to flipping a coin 28 times and getting heads every time, he said. "It doesn't sound so bad ... but you would be at it for an eternity," Miecznikowski said. November was the last time a jackpot winner emerged from Powerball, which is run by the Multi-State Lottery Association. In the previous drawing on Wednesday night, the jackpot stood at $500 million and nobody won, setting the stage for the latest drawing just before 11 p.m. Eastern time on Saturday. If no one has the winning numbers again, the jackpot will likely rise to an estimated $1.3 billion by Wednesday, the next scheduled drawing, Bond said. It may cross the $1 billion threshold on Saturday, he said. The previous record North American jackpot payout for any lottery game was in March 2012, when $656 million was won in the multi-state Mega Millions draw. © 2015 Thomson/Reuters. All rights reserved.